By Rob. 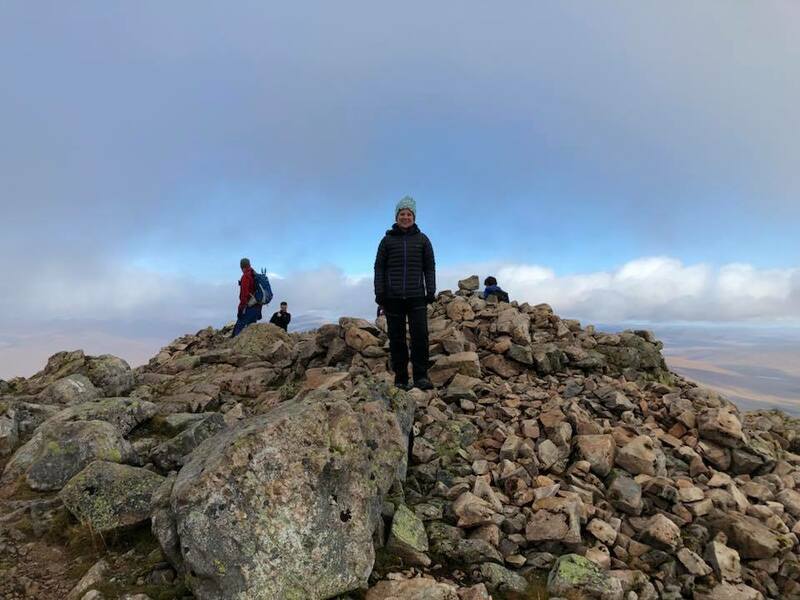 On the 5th and 6th of October 2018, the club met in The Grampian Club’s Inbhirfhaolain Hut in Glen Etive. After arriving on Friday night and catching up over tea and beers, we made our plans for the Saturday. Anna Lisa, Marshall and Maysam walked Ben Starav. 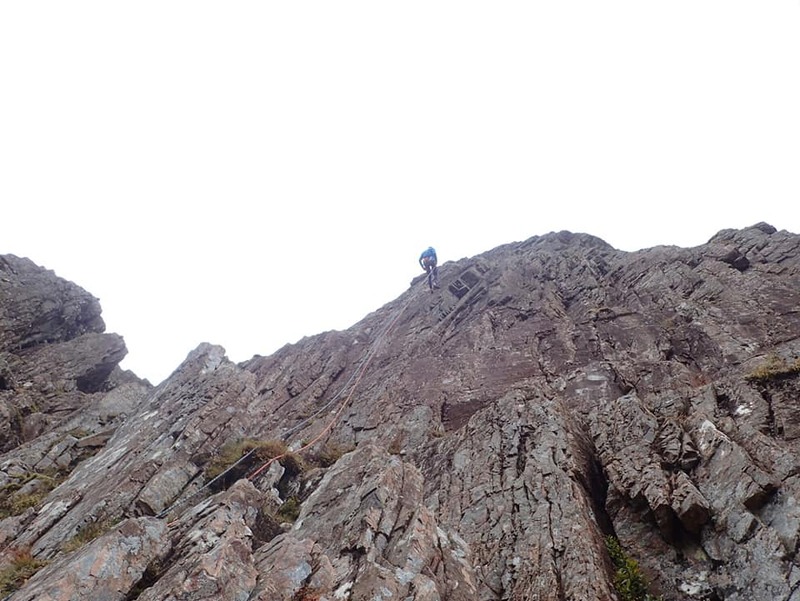 Myself, Danny, Stewart and Cameron headed to Rannoch Wall on Buachaille Etive Mor. Lorna also joined us for part of the walk in on her way to tackle Curved Ridge. After leaving the car park, we quickly past the Lagangarbh Hut and headed to Rannoch Wall via the initial part of Curved Ridge. 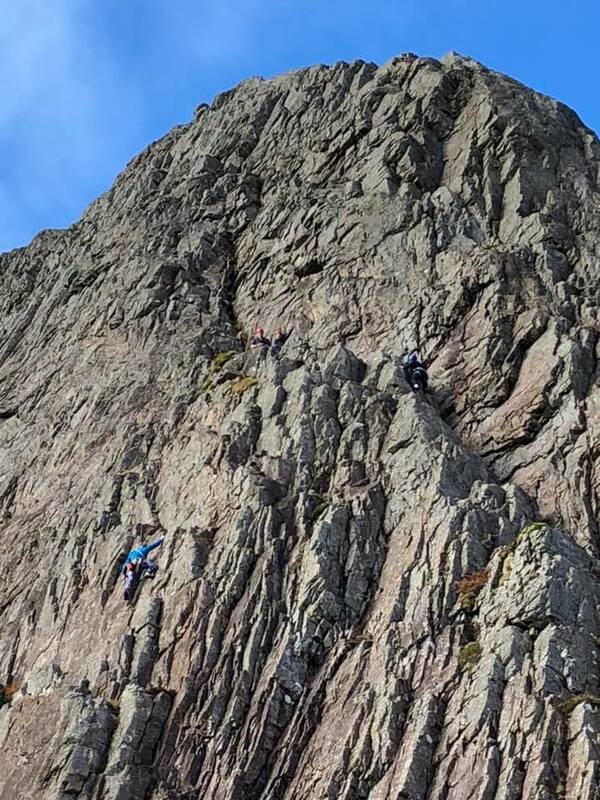 After arriving and getting kitted up, me and Stewart climbed January Jigsaw (S), and Danny and Cameron climbed Agag’s Groove (VD) in beautiful sunny weather. 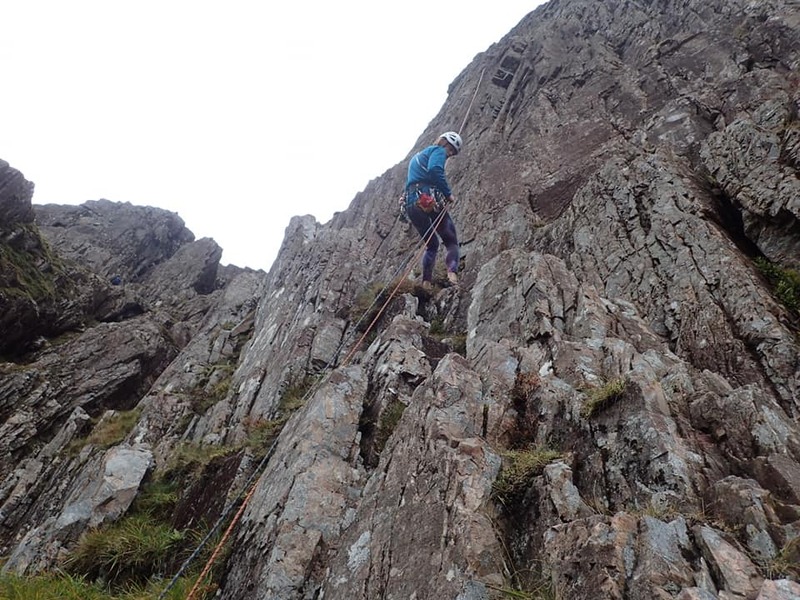 As we climbed higher into the breeze or shade, there was a noticeable drop in temperature at the ‘first’ belay stance (we ended up running two pitches together) the two routes cross, making me glad of my gloves. 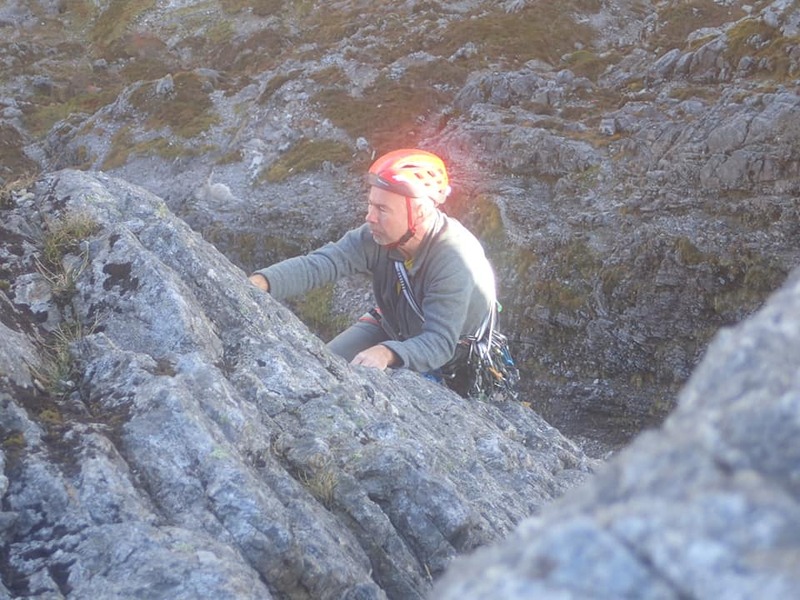 Once at the top, we abseiled and swapped routes. 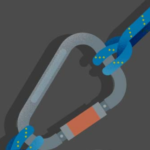 At the cross-over belay stance, me and Stewart overtook another party on Agag’s Groove and Danny proceeded to go off route on the upper pitches of January Jigsaw. 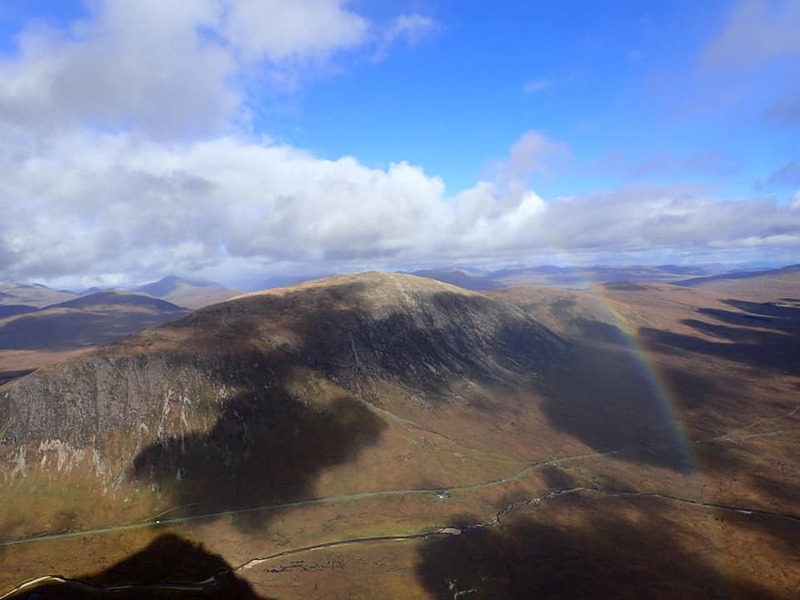 While waiting for Danny and Cameron to top out, a circular rainbow could be seen down in Glencoe. 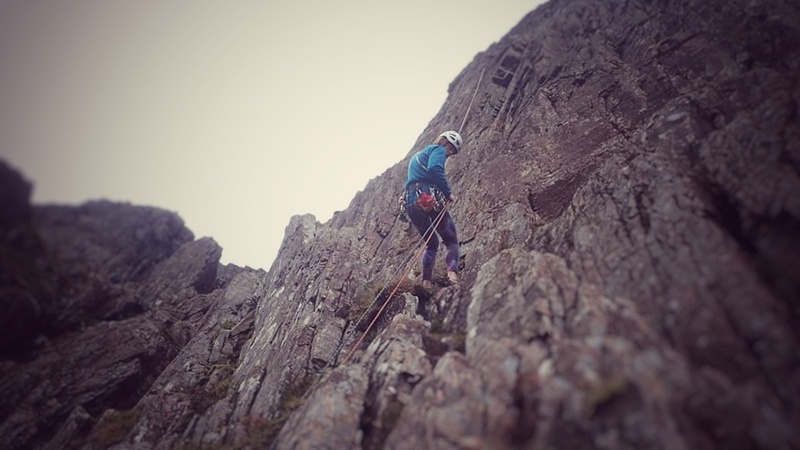 After an incident with a stuck rope and disappearing belay plate, Danny scrambled down curved ridge while the rest of us abseiled off again. Once back at the car park we headed to the Clachaig to meet more Lomonders. Here it transpired that Lorna had spend the day chatting up a couple of other walkers on Curved Ridge. Back at the hut, Lorna’s feast of chicken curry and cheesecake was well received. 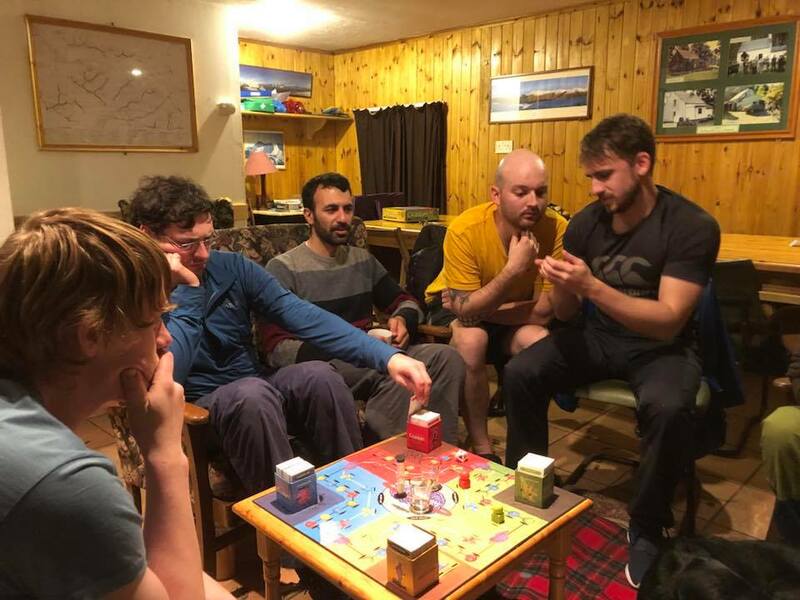 An enjoyable evening, lasting into the wee hours of the night, followed with a game of cranium with one or two beverages. In contrast to the lovely, if chilly, Saturday weather, we awoke to the standard Scottish drizzle on Sunday morning. As a result, once the hut was tidy, we went our separate ways, ending another enjoyable LMC meet.